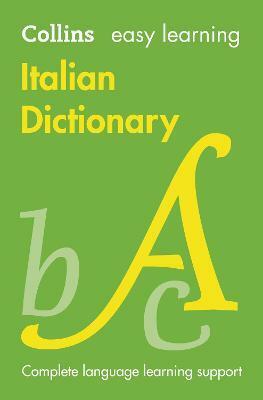 An up-to-date, easy-reference Italian to English and English to Italian dictionary with practical supplements, ideal for all learners of Italian. Whether you are learning for your GCSE exams at school, in an evening class, for business or to go on holiday, this is the Italian dictionary for you. The entries cover everyday Italian and English, including all essential set expressions and key curriculum words are highlighted to help with exam preparation. Additional help is given with a full guide to using the dictionary, essential grammar pages and a section on expressing yourself in Italian and English. With warnings on the most common errors and confusable words, this dictionary gives a solid foundation for Italian language learning.